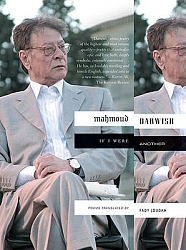 Winner of the PEN USA Literary Award for TranslationMahmoud Darwish was that rare literary phenomenon: a poet both acclaimed by critics as one of the most important poets in the Arab world and beloved by his readers. His language--lyrical and tender--helped to transform modern Arabic poetry into a living metaphor for the universal experiences of exile, loss, and identity. The poems in this collection, constructed from the cadence and imagery of the Palestinian struggle, shift between the most intimate individual experience and the burdens of history and collective memory.Brilliantly translated by Fady Joudah, "If I Were Another"--which collects the greatest epic works of Darwish's mature years--is a powerful yet elegant work by a master poet that demonstrates why Darwish was one of the most celebrated poets of his time and was hailed as the voice and conscience of an entire people.